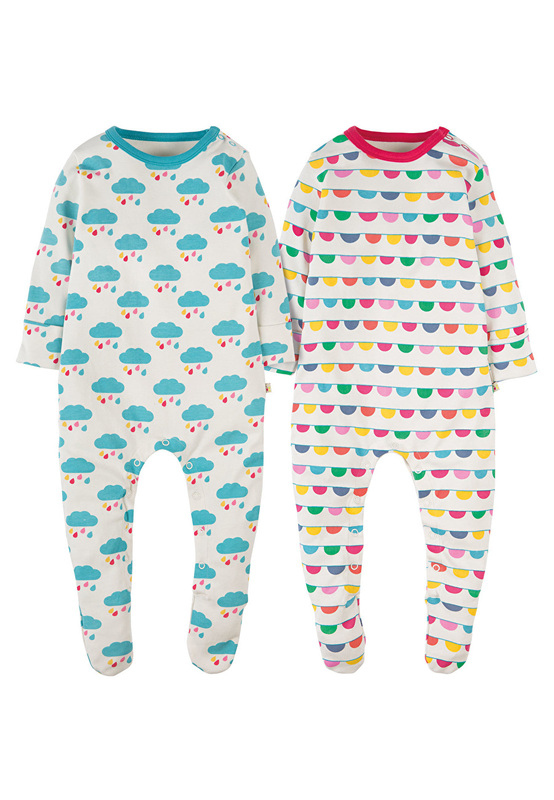 These handy 2 pack of Scrumptious Babygrows, made from durable and super soft organic cotton interlock, are cosy and gentle against your baby's sensitive skin! 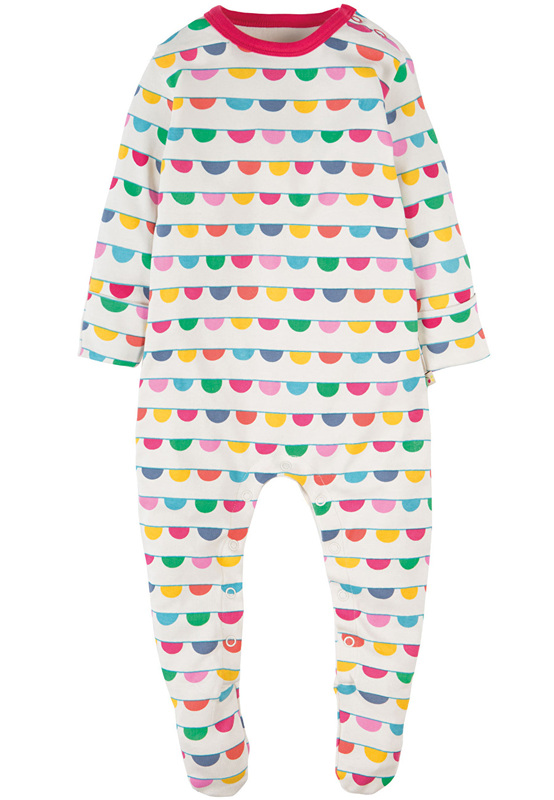 In two bright and colourful Frugi all over prints, these babygrows have clever integrated fold back scratch mitts, cosy feet to keep your little one warm and with poppers at the side of the neck and along the leg seam for easy changing! 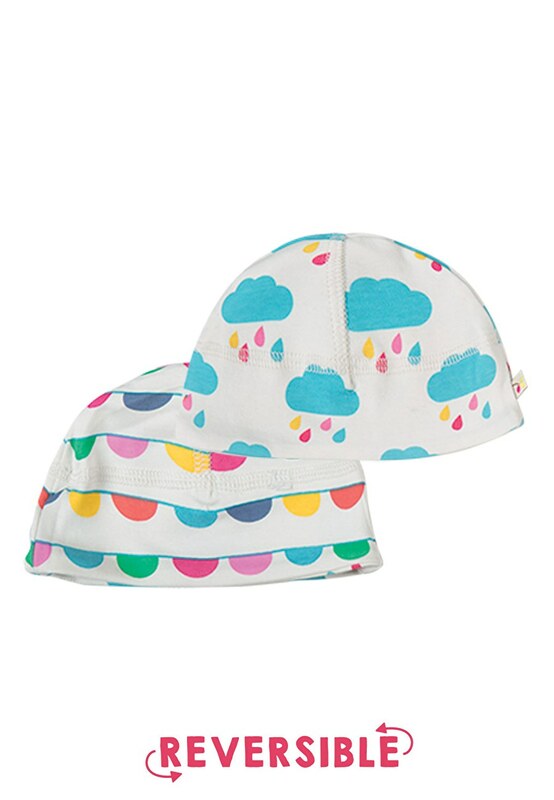 The fun and practical Scrumptious Reversible Hat has a matching colourful Frugi print on one side and another fab Frugi print on the other, two hats rolled into one, perfect for matching to your baby's outfit or if you just fancy a change! 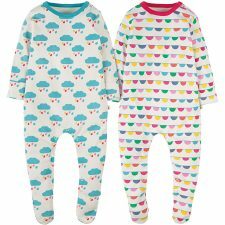 Made from 100% organic cotton interlock making it durable, warm and super soft on your baby's delicate and sensitive skin!